I am a concerned American citizen and Democrats Abroad France Strasbourg member. I have resided in France since 1992. An active Democrats Abroad member during the Obama campaign in 2008, I painstakingly phonebanked in an Dems Abroad- Swiss branch apartment in Basel, Switzerland, made frequent trips to Strasbourg, France and was a proud and humble invitee to President Obama’s Town Hall meeting in Strasbourg in April, 2009. During President Obama’s second campaign, I battled a life threatening illness and was unable to actively participate in campaigning efforts. However, I made sure to execute my absentee voting procedure. I made sure that my vote got counted!! According to a State Department report of 2016, 3-6 million Americans reside abroad. We need those votes. Americans abroad need to be aware of existing portals that can contribute to living a productive, aware, and meaningful life here while maintaining our political integrity. Different challenges occur that require networking. As an American with a track record of different experiences and challenges, I can offer compassionate advice concerning the political infrastructure of France, Germany and Switzerland…..challlenges concerning housing, insurance, or employment. I also have an avid interest in the Diversity section of Dems Abroad and in helping to establish a Chapter precinct in neighbouring Haut-Rhin section of France, for Americans who reside near the Swiss border. As a National Voting Representative, I will bring my experiences and challenges to the table, tirelessly work to support the initiatives of Democrats Abroad Political Committee, work closely with the designated party sub-groups to assure that DA fulfills its goals and responsibilities, reflect a progressive stance, demonstrate professionalism, diplomacy and provoke mutual respect. All members of Democrats Abroad France are eligible to vote in this election. To join DAF, you must be a US citizen aged 18 or older by November 3, 2020, with an address in France, not be a member of any other Democrats Abroad Country Committee, and subscribe to the principles of the Democratic Party of the United States of America and of Democrats Abroad. To join Democrats Abroad, click here. ELECTIONS WILL BE HELD Saturday, May 11, 2019 at the American Church in Paris from 2:00 P.M. to 5:00 P.M. Come meet and hear from the nominees prior to the final vote! To RSVP and for more details, please click here. Early voting by online ballot will also be made available to DAF members via email. If you should exercise the early vote option, you may still attend the in-person meeting on May 11, but shall not be allowed to vote a second time, nor to change your vote. As noted in previous announcements, because early voting will be underway, no nominations from the floor can be accepted. You will soon receive via email your Absentee/Early Voting Ballot with voting instructions and deadlines. Questions? Please contact the DA France Elections Board at electionsboarddaf@gmail.com. Speaking my truth, creatively, reminds me of an onion. Removal of the thin outer layer is necessary to arrive at the juice. 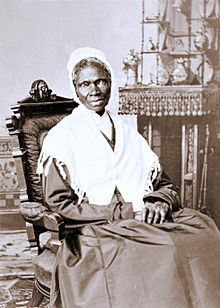 In honor of Black History Month, I offer two snippets of my Greene Onion….Humble salutes to Sojourner Truth, African American abolitionist and social activist – Speech- – Ain’t I A Woman- is as timely today as in the year 1800. Langston Hughes, African American Renaissance poet – Poem- Mother to Son – “‘An artist must be able to choose what he does, but he must also not be afraid to do what he might choose. '” LH 3 Because of security reasons, my monologues are unable to upload…Alas, I leave you with the written word..
“‘Seems between the black people of the South and the White women of the North, the white man is gonna find himself in a fix pretty soon. This man here says women shouldn’t be given the place everywhere…well, ain’t nobody ever helped me over no ditch, or helped me into a carriage, or helped me over a muddy puddle…and ain’t I a woman? Look at me! Look at my arms..I have ploughed and gathered into barns, more than any man…and take the lash as well, and ain’t I a woman? I done born 13 chillen’ and had ’em all sold off into slavery and when I cried out with a Mother’s grief, ain’t none but Jesus heard me..and ain’t I a woman? This man over deah…he says women shouldn’t be given the same rights as men, ‘cos Christ won’t a woman…Well, where did your Christ come from? From God and a woman…Man ain’t had nothin’ to do wit it!! So, sing! Any way you can. when is the last time you had fun with your life? your belly hurt when you laughed? when is the last time you hugged your cat? get out of the sack. could mean they don’t want to be home. I saw the video concerning the confrontation between the Covington Students and the Elder Native American, Mr. Nathan Phillips on Twitter. I was saddened, angry, and felt I must respond. Last night, I viewed the uploaded video which included the Black Israelites, verbally addressing their agenda about the state of affairs of the world. Within this video, I was able to view the truth of what my America has become. A tree, roots embedded within the Earth…roots nourished on bloodshed of our forefathers and foremothers, fear, broken hearts, deceit, corruption, displacement, failed financial ventures, homelessness, poverty, disruption of plans, deceit, misunderstandings, racial injustice, oppression, privilege, guilt, ignorance, truth…Roots, from the same tree, evolving, tangled, continuing to adapt, attempting to live…and now, the tree’s branches extend to the sky… to the heavens, screaming….Help….. Within this chasm of controversy and chaos, the branches understand that each need the other….It is only possible to evolve with love….The courageous Native American, Mr. Nathan Phillips, dissipates the impending doom. And this is my America. Der Zwischenfall ereignete sich am Nachmittag des 7. März am Grenzübergang Basel-Huningue neben dem Novartis Campus. Meistens ist die Zollstation unbesetzt, nicht aber an diesem Tag. Anna Dell’Era, Afroamerikanerin und italienisch-amerikanische Doppelbürgerin, war auf dem Heimweg nach Kembs (F). Noch bevor sie die Grenze passierte sah sie den Wagen ihrer Tochter und hielt an. Die junge Frau war mit zwei dunkelhäutigen Kollegen unterwegs nach Basel. Zwei Grenzwächter unterzogen sie einer Kontrolle. «Ich stieg aus und zückte mein Handy, um meinen Mann anzurufen», erzählt Dell’Era. Dann sei sie angeschnauzt worden: «Sie dürfen keine Fotos machen.» Tatsächlich verbietet Artikel 236 der Zollverordnung das Fotografieren oder Filmen des Personals der Zollverwaltung während der Ausübung seiner Tätigkeit. Dell’Era machte allerdings Foto- und Videoaufnahmen, um das Verhalten der Beamten zu dokumentieren. «Solche Situationen, in denen Respektlosigkeit und Rassismus offensichtlich sind, sind der Grund, weshalb Bürger das Handy zücken und dieses Verhalten dokumentierten», sagt die Sängerin und Tänzerin. Wiederholt sei sie aufgefordert worden, ihr Handy auszuhändigen. Sie weigerte sich: «Ich kenne meine Rechte, ich gebe Ihnen mein Telefon nicht», erwiderte sie. Sie blieb auch bei dieser Haltung, als man ihr drohte, Pass und Führerschein nicht mehr zurückzugeben. Die Ausweise warf der Grenzwächter in der Folge auf den Boden. «Als ich ihn bat, die Dokumente aufzuheben, murmelte er nur etwas Unverständliches und tat dies nicht», so Dell’Era. «Dieses Verhalten war unkorrekt, respektlos und rassistisch», sagt Dell’Era. Sie beschwerte sich tags darauf schriftlich beim Basler Zollkreisdirektor und verlangte eine Entschuldigung. Unter anderem wirft sie der Behörde Racial Profiling vor. Abklärungen in der Sache seien eingeleitet worden, teilte ihr die Dienstchefin Aufgabenvollzug danach mit. Auf die Entschuldigung wartet sie aber auch zwei Wochen nach dem Vorfall noch immer. «Ich behalte mir zivilrechtliche Schritte vor», meint die Sängerin, die mittlerweile einen Anwalt eingeschaltet hat. Nachfragen bei Anlaufstellen und NGOs zeichnen ein anderes Bild. «Solche Fälle werden immer wieder an uns herangetragen», sagt Beat Gerber, Mediensprecher von Amnesty Schweiz. «Ethnic Profiling ist ein akutes Thema.» An den Schweizer Grenzen würden seit Monaten praktisch alle Personen schwarzer Hautfarbe oder mit einem nordafrikanischen Erscheinungsbild systematisch nach ihren Ausweisen gefragt, berichtet er. Racial oder Ethnic Profiling ist eine völkerrechtlich verbotene Diskriminierung, weil Verdachtsmomente allein auf dem Erscheinungsbild einer Person, also ihrer Hautfarbe oder Herkunft beruhen. The incident occurred on the afternoon of the 7th March at the border crossing Basel-Huningue next to the Novartis campus. Usually the customs station is unoccupied, but not on this day. Anna Dell’Era, an African-American and Italian-American citizen, was on her way home to Kembs (F). 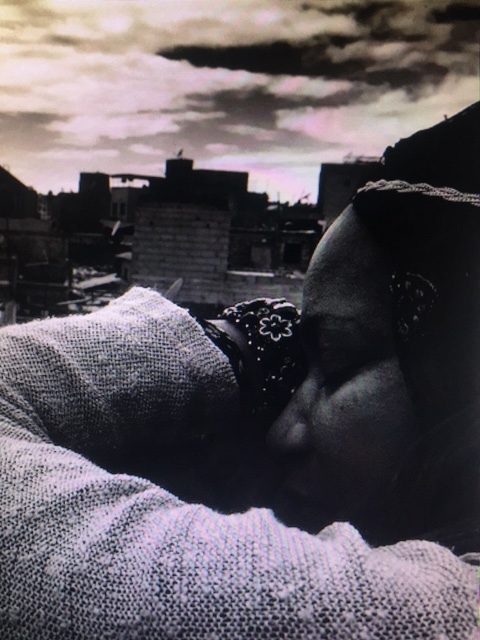 Before she crossed the border, she saw her daughter’s car and stopped. The young woman was traveling with two dark-skinned colleagues to Basel. Two border guards put them under control. “I got out and grabbed my cell phone to call my husband,” says Dell’Era. The border policeman said, “You can not take pictures.” Indeed, Article 236 of the Customs Ordinance prohibits the taking of photographs or filming by the staff of the Customs Administration during the course of its activities. Dell’Era, however, took photo and video recordings to document the behavior of the officials. “Such situations, in which disrespect and racism are obvious, are the reason why citizens grab their mobile phone and document this behavior,” says the singer and dancer. She had repeatedly been asked to hand over her cell phone. She refused, “I know my rights, I will not give you my phone,” she replied. She also remained by her conviction when she was threatened that her passport and driving license would not be returned. The border patrol officer then threw the documents on the ground. “When I asked him to pick up the documents, he murmured something incomprehensible and did not,” Dell’Era said. Border administration rejected accusations “This behavior was incorrect, disrespectful and racist,” says Dell’Era. She complained to the Basler Zollkreisdirektor in the afternoon via telephone and countless emails and asked for an excuse. Among other things, she raises the claim of Racial Profiling. Clarifications on the matter have been initiated. But she is still waiting for the apology two weeks after the incident. “I take correct civil law steps,” says the singer, who has now requested assistance from a lawyer. The Customs Administration rejected the allegations on request of 20 minutes newspaper. The border guard corps do not exercise racial profiling, they claim. On the contrary, checks are made “on the basis of concrete investigations and indications, risk analysis and the experience of the employees”. According to an opinion of the media journalist Walter Pavel, “Everything else would not be effective.” «Blacks are systematically controlled» Inquiries at contact points and NGOs draw a different picture. “Such cases are always brought back to us,” says Beat Gerber, media speaker of Amnesty Switzerland. “Ethnic profiling is an acute issue.” At the Swiss border, practically every person with black skin color or a North African appearance had been asking for their identity cards for months, he reports. Racial or Ethnic Profiling is a discrimination prohibited by international law because suspicious factors are based solely on the appearance of a person, ie, their skin color or origin. Das prowestliche Lager des früheren Regierungschefs Boiko Borissow könnte als Sieger aus dem Urnengang hervorgehen. Dieser Fall schockierte vor zwei Jahren ganz Amerika: Ein Mann band seiner Hündin die Schnauze mit Isolierband ab. Nun muss er hinter Gitter. as you fly over the game. showed me how to fight! And navigate around this town. Your Mama is back. …..